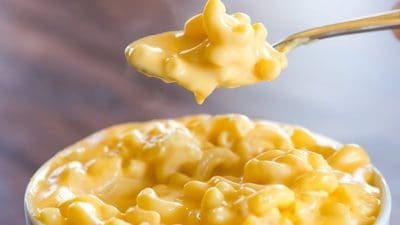 The absolute creamiest and cheesiest mac and cheese you’ll ever eat! 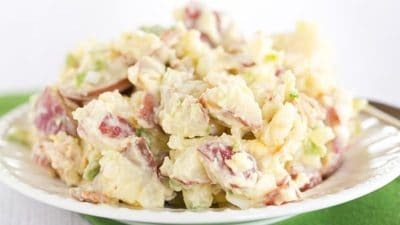 The BEST EVER Potato Salad recipe, handed down from a friend’s grandmother, with a special secret ingredient in the dressing that puts it over the top. 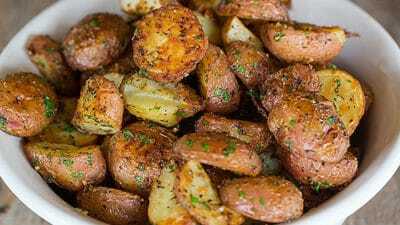 So easy to throw together and the best roasted red potatoes you’ll ever eat! Always a huge crowd favorite. 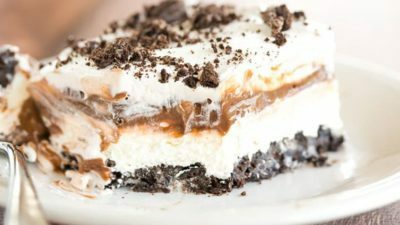 No Bake Oreo Layer Dessert (also referred to as a “lush dessert”) includes layer of Oreo crust, no-bake cream cheese layer, chocolate pudding, and whipped topping. 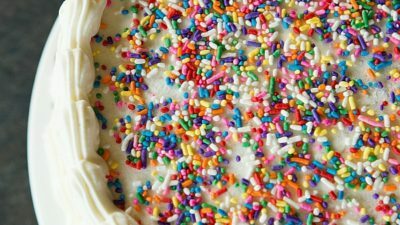 A perfect dessert for hot summer days! 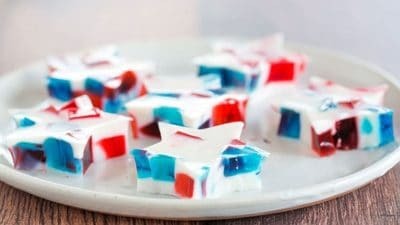 Red, White & Blue Stained Glass Jello Stars are an easy and festive recipe that can be customized with any combination of colors – make them for holidays, tailgate parties, graduation parties, or kids parties! 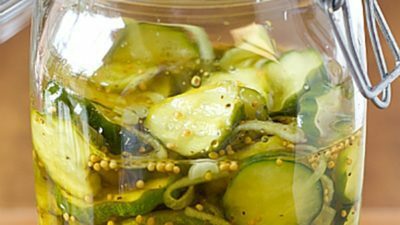 An easy recipe that can be prepped in just a few minutes and will turn your cucumbers into delicious pickles overnight! Layers of vanilla and chocolate ice cream with a layer of crushed Oreo cookies and homemade hot fudge sauce in the middle, all covered in homemade whipped cream. 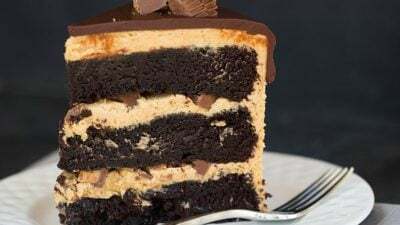 A triple layer chocolate cake filled and frosted with peanut butter frosting, filled with chopped peanut butter cups, and covered in a chocolate ganache. 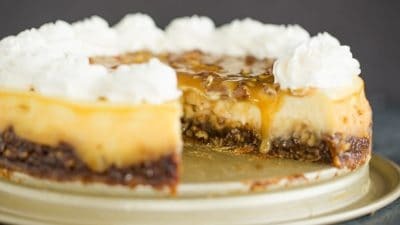 The ultimate dessert for any chocolate/peanut butter lover! 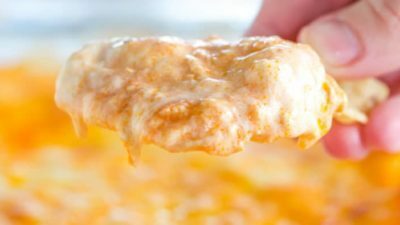 A classic Buffalo Chicken Dip – shredded chicken, hot sauce, cream cheese, ranch dressing, and lots of cheese! Great for parties and game days! 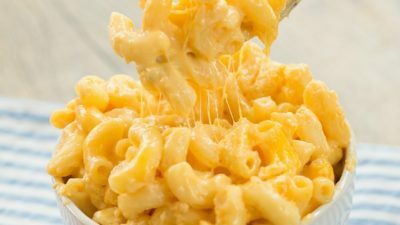 A super easy mac and cheese recipe made right in your crock pot… perfect for feeding a crowd and for potlucks! 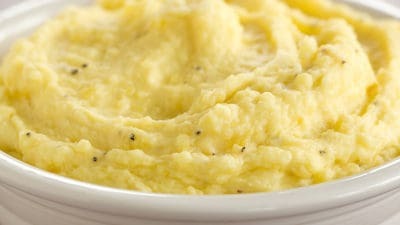 Perfect Mashed Potatoes! A super simple technique makes all the difference – get wonderfully creamy mashed potatoes each and every time. 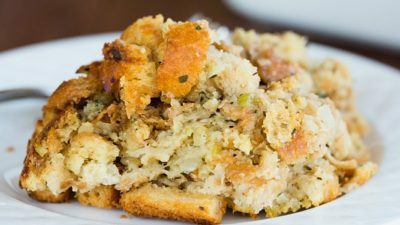 This traditional bread stuffing recipe is a classic! All of those familiar flavors that are part of Thanksgiving tradition. 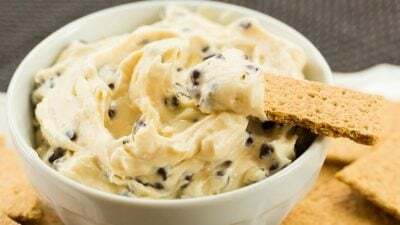 A sweet, creamy dip that tastes just like chocolate chip cookie dough without the guilt of raw egg! 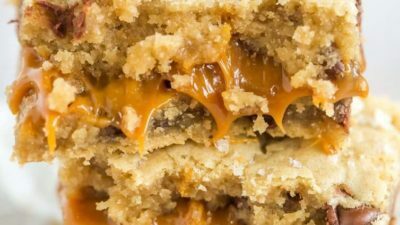 My favorite chocolate chip cookie dough baked up with a layer of salted caramel stuffed inside for an amazing sweet and salty dessert that are always a HUGE hit!